This story is important because at least three Americans and over 250 Mexicans are dead all because of this scandal which went all the way to the White House. 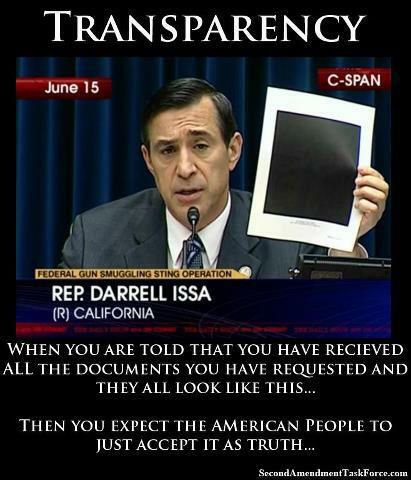 This is a huge scandal. Imagine the elite media reaction of a Republican had done something so vile. Investors Business Daily: Cash for Cartels – LINK – See more below. Bill Newell, the former Special Agent in Charge of the ATF’s Phoenix Field Office has said over and over again under oath, that at no point didn’t ATF allow guns to be trafficked into Mexico. “At no time in our strategy was it to allow guns to be taken to Mexico,” Newell said, adding at no time did his agency allow guns to walk. This map along with the other documents released today prove otherwise and now over 200 people are dead as a result. Remember this was all an effort to create an excuse to pass more sweeping gun control laws. Any administration capable of this is capable of anything. 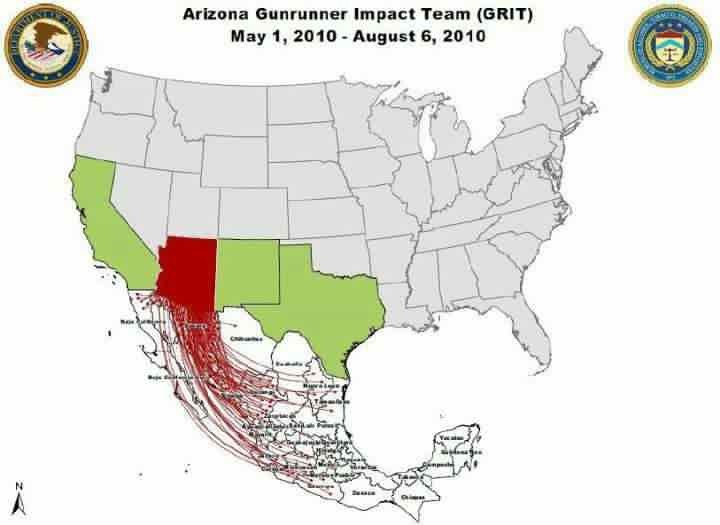 The funneling of thousands of American guns into the hands of Mexican drug cartels in the operation known as Fast and Furious was not a botched sting operation or the result of bureaucratic incompetence. It was not designed to interdict gun trafficking, but to facilitate it. We now know that it involved not just the use of straw buyers, but also agents of the federal government purchasing weapons with taxpayer money, ordering the licensed dealers to conduct the sales off the books, then calling off surveillance of the gun traffickers and refusing to interdict the transfer of the weapon or arrest the people involved. According to documents obtained by the Bureau of Alcohol, Tobacco, Firearms and Explosives (ATF), agent John Dodson was ordered to buy semiautomatic Draco pistols and was provided a letter by ATF group supervisor David Voth authorizing FFLs (federal firearms licensees) to sell Dodson the guns without filling out the required form. According to Fox News, Dodson then sold the guns to known illegal buyers who took them to a stash house. Voth disapproved Dodson’s request for 24-hour surveillance and ordered the surveillance team to return to the office. Dodson stayed behind, against orders. A week later, when a vehicle showed up to transfer the weapons to their ultimate destination, he called for an interdiction team to move in, seize the weapons and arrest the traffickers. Voth refused, and the guns disappeared without surveillance. There is nothing more shocking that could have been invented by a novelist than this outright governmental malfeasance in support of a social agenda. Letting ANYONE involved with this outrage from the White House on down escape the penitentiary for this is unacceptable. One would hope that aggrieved Mexico would show up and take care of the problem for us since we appear to be unable to get our arms (no pun intended) around it.